Chandigarh: Sikh Council UK facilitated a community wide meeting of representatives from Sikh Gurdwaras and organisations at Guru Nanak Gurdwara Smethwick 2nd September 2018. The meeting adopted three resolutions concerning the Justice Ranjit Singh Commission Report laid in the Punjab Assembly earlier this week, the recent comments made by Rahul Gandhi at an event in the British Parliament and the ongoing campaign for a separate Sikh ethnic category in the UK Census. This Panthic meeting re-affirms our abhorrence and condemnation of the repeated and orchestrated incidents of sacrilege of Sri Guru Granth Sahib and other scriptures of Sikh and other faith communities committed across Punjab over the past three years. We note the findings of the Justice Ranjit Singh Commission and the previous Jora Singh Commission and Ranbir Singh Khatra SIT investigations into the incidents of desecrations that were committed by Dera Sacha Sauda Sirsa followers in revenge for the ban of their movie in Punjab. We note the findings of the Commission that the Punjab Government and Punjab Police determined to prevent Sikhs peacefully protesting the desecrations in Kortakpura, Bebel Kalan and other places in Punjab by removing protestors by unlawful and lethal force leading to the death and injury of innocent and unarmed Sikhs. We note the findings of the Commission that the accounts of the senior Punjab Police officers involved in the police actions have been evasive and in some cases outright untruthful to shield the guilty. 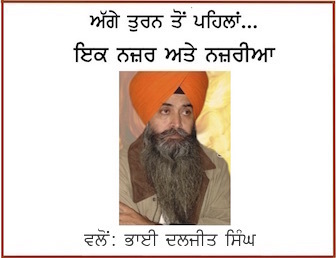 We note our particular concerns regarding those politicians and officials in positions of power including the then Chief Minister Parkash Singh Badal and Home Minister Sukhbir Singh Badal; senior police officials including the then DGP of Punjab Police Sumedh Saini and senior Sikh authorities including Jathedar Giani Gurbachan Singh and the then SGPC President Avtar Singh Makhar in respect of the exercise their respective responsibilities in connection with the desecrations. This Panthic meeting strongly condemns the comments by the leader of the Indian Congress Party Rahul Gandhi during an event hosted recently in the UK Parliament. Official and unofficial commissions and enquiries in India have repeatedly identified senior Congress Party leaders as being responsible for the orchestrated genocidal killing of Sikhs in 1984. This is an issue that remains of significant importance for Sikhs in India and across the diaspora. The total lack of justice and regard for Sikhs in connection with the events of 1984 under successive Indian Governments has ensured the wounds remain. The comments made by Rahul Gandhi were an attempt to absolve the Congress Party of its involvement and responsibility for what happened in 1984 and have caused outrage in the British Sikh community. This meeting acknowledges and supports the protests undertaken by Sikh activists at subsequent events attended by Rahul Gandhi. We repeat our calls for justice for victims of the 1984 Sikh genocide and the punishment of the guilty including those Congress Party politicians and workers who have been repeatedly identified as perpetrators and evaded justice for the past 34 years. We note the presence of Keith Vaz MP, Virendra Sharma MP and Seema Malhotra MP at the meeting where these comments were made. We note the MP’s represent areas with a significant Sikh community and will have a good understanding of the issues in relation to the 1984 and their importance to Sikhs. We note the reply from Seema Malhotra MP to Sikh Council UK, and we call upon the other MP’s named in attendance to publically clarify their position in relation to the comments made by Rahul Gandhi. 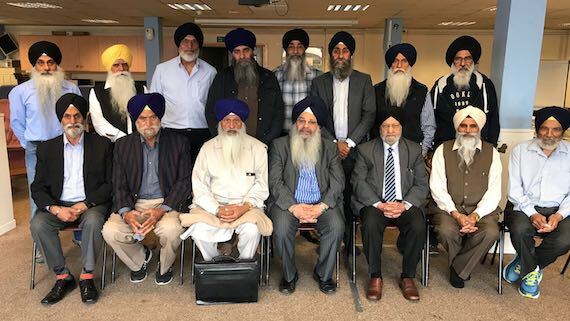 We would also invite them to liaise with their local Sikh Gurdwaras and communities to ensure they understand Sikh concerns relating to the 1984 attacks and where necessary to apologise for any hurt caused. We also call upon all MP’s of all parties, including the two Sikh MP’s Preet Kaur Gill MP and Tanmanjeet Singh Dhesi MP, to ensure the call for justice for Sikhs in relation to the killings of Sikhs in 1984 and subsequent human rights abuses is a consistent item of discussion at appropriate interactions with Indian Government politicians and officials. Representatives from Gurdwaras, organisations and individuals gathered at the Panthic meeting on Sunday 2 September 2018 at Guru Nanak Gurdwara, Smethwick unanimously affirm Sikhs are a distinct Quom (nation) as well as a religion and resolve to support the call for a Sikh ethnic tick box in the Census 2021. The Law Lords in the historic Mandla v Dowell Lee case 35 years ago determined that Sikhs were a distinct community by virtue of certain characteristics. The law of the land is incontrovertible that Sikhs constitute a distinct ethnic group. It makes complete sense from a theological and practical viewpoint for the Census 2021 to have both a Sikh religious and Sikh ethnic tick box. This meeting resolves for a memorandum to be submitted on behalf Gurdwaras and Sikh organisations in attendance at this Panthic meeting attaching a copy of this resolution to the UK Statistics Authority, Office for National Statistics and Cabinet Office and copied to the All Party Parliamentary Group for British Sikhs.